We are Peruvian and American health care professionals and volunteers from Illinois and other states who take medical, educational and health missions to Peru. We provide free health and medical care to different villages with little or no access to health and medical services. Members, welcome to our website! It is through your support and generosity that we are recognized as a not for profit in the State of Illinois and a designated 501c3 organization by the Internal Revenue Service. We have dedicated this update in order to remind you that as members we count you to pay the yearly member dues. As you very well know it is through these funds and donations that we are able to continue on our mission to help so many people. It is through the generosity of you, our members, that we are able to grant ongoing support to organizations that count on us to continue to provide their services to the neediest Peruvians. Thank you again for continuing to aid these projects that mean so much to us. 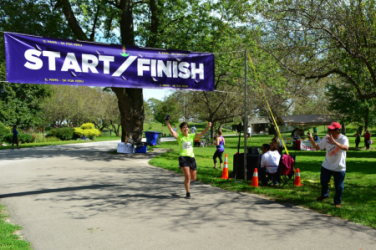 The IL-PAMS 5k for Peru is our annual fundraiser. This money goes to fund new and on-going missions to help provide medical care to Peruvians in need. It's is a great way to have some fun, and help us towards our goal. For more information and registration check out our 5k page! Our most recent mission led by Dr. Annibal Pepper accompanied by his wife Anita, and two American school teachers from Frankfort Elementary School. This 10 day mission was, "very short, but very fruitful”.In Arequipa the surgery Department of Hospital Honorio Delgado is still in Emergency with an operating room functioning to only cover “emergencies”. However, the Burns Unit, with our own operating room and everything necessary works normally, thanks to the permanent help of ILPAMS, Dr. Pepper was able to give USD5,000. As well as a box of Dermacarrier generously donated by plastic surgeon, Dr. Rick Green. “The Burn Unit of the Regional Hospital continues with its degree of excellence and serves patients from the entire macro region of Southern Peru”. 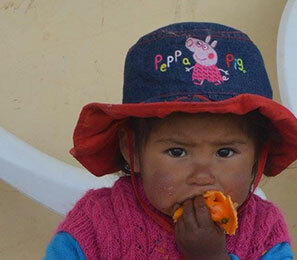 In Cusco, Dr. Pepper worked and gave a donation sent by Dr. Lleni Pahs of her fund with PAMS National. Dear July, just returned from Peru yesterday with my wife Anita, after a very short very fruitful both in Arequipa and Cuzco mission but. In Arequipa Dep. Of Surgery Honorio Hospital Delgado remains in emergency room operations running to cover only "Emergency" really unacceptable and pathetic, fortunately the Burn Unit, our room own operations and all necessary operating normally thanks to the ongoing support of IL PAMS, I delivered $ US 5 billion and a box of Dermacarriers with a value of US $ 490 donated very generously by Dr. Rick Green, our plastic surgeon friend and disciple of Dr. Angelats. 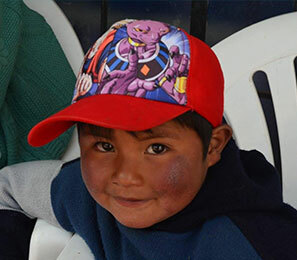 Burn U continues its degree of excellence and serves patients throughout the macro region of southern Peru. On the other hand, my wife Ann and two American Teachers who took the Elohim of Arequipa school worked hard and led donated by IL PAMS aid and Frankfort MI Elementary School, include the Charter of receipt and gratitude. The teachers who accompanied Dr. Pepper and his wife Ann, were from Frankfort elementary which has recently become a “sister” school to Elohim school in Arequipa. With the students becoming penpals with one another and the teachers volunteering it is a way to integrate our world and break down barriers and preconceived notions through the collide of cultures of our future. Elohim school is located in a poor neighborhood of Arequipa. This mission Ann and the other two teachers along with monetary aid to implement two years of secondary technical and vocational special instruction. For boys, plumbing and carpentry, and for girls there is sewing and cosmetology made available through the donation of 3 electric machines and the work of our mission associates. The library created in previous years is now equipped with over 600 books as well as everything need such as toilets and cuisine to provide breakfast and lunch to 230 children. The 6th grade children of Frankfort sent letters as well as $275USD that is going towards boards for a basketball court.